It is that time of year again, when we all sit round the table with friends and family in anticipation of a massive feast and say what we are Thankful for. We all recognize that the turkey is the star of the meal but all those wonderful side dishes can also “make or break the meal”! Here is my top 10 list of the best side dishes with link to a great recipe for you to make the dish (not in any particular order as all are delicious and well needed to complete the perfect Thanksgiving meal. HAPPY THANKSGIVING! It is doubtful that cranberry sauce was served during the 1621 Harvest Celebration but in the 1800 Americans began farming cranberries. By the Civil War cranberry sauce was so ingrained as an American dish that General Ulysses S. Grant ordered cranberries served to soldiers as part of their Thanksgiving meal. And so we carry on the tradition of serving cranberry sauce with our Thanksgiving meal. 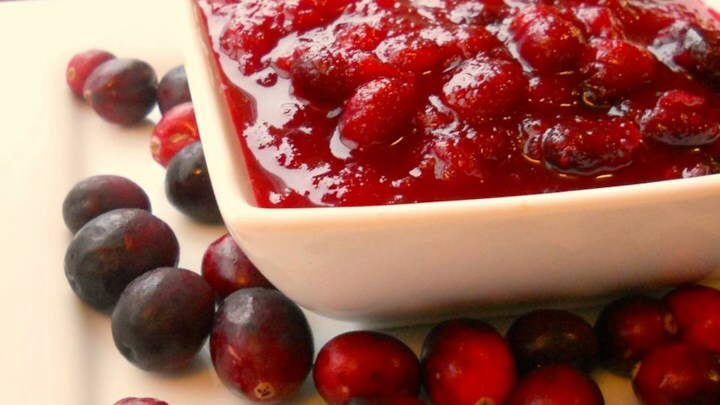 This is a simple recipe for a delicious Cranberry Sauce. With so many dishes to be made for Thanksgiving I just feel I don’t have the time to bake rolls from scratch, so with this dish what I do is buy the frozen dinner rolls all ready in a foil baking pan. 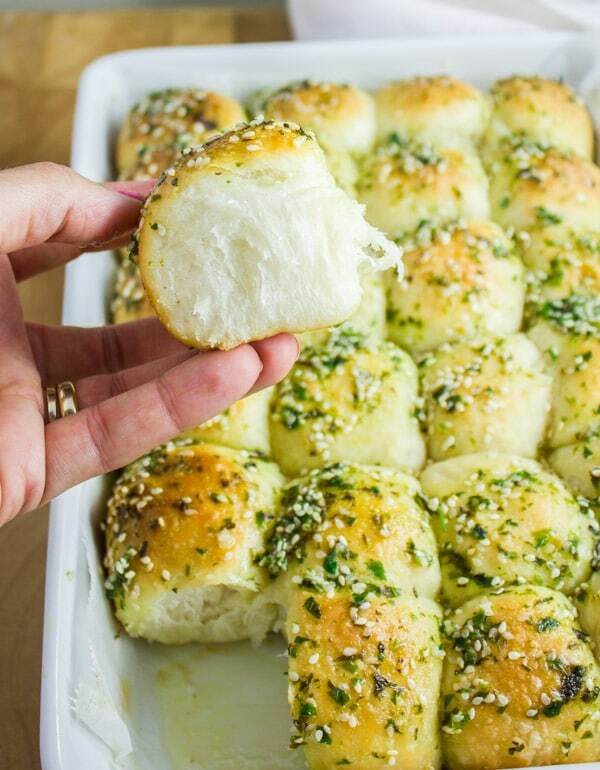 I make a mix of dried herbs and melted butter and brush this mixture over the rolls before baking. The rolls come out with a flavorful crispy top and are just yum! Because we know that there must have been corn served in some way during the 1621 Harvest Celebration, this is why we serve corn with our Thanksgiving feasts today. What is often a popular way to serve the corn is to bake a corn bread. The corn bread needs to be moist, tender and slightly sweet. Corn Bread recipe. Sweet potatoes are a traditional Thanksgiving side dish and can be served in a variety of ways, some like to make a sweet potato casserole. 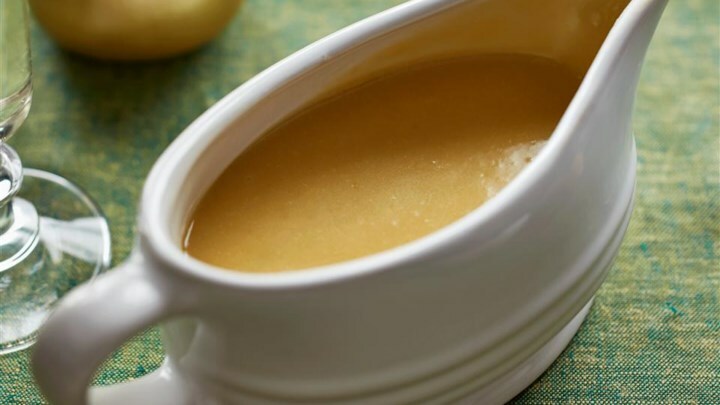 My favorite is to bake the sweet potatoes and what better flavors to add than honey and cinnamon – enjoy! 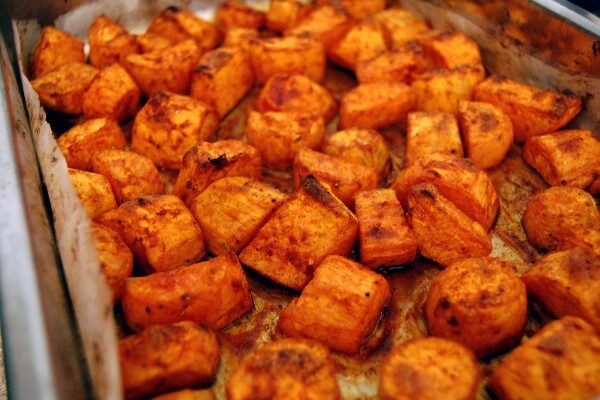 Sweet Potatoes with Honey and Cinnamon. It is the dish everyone is expecting on the holidays, but it is so easy to make, you can serve it any day. Created by Campbell Test Kitchen Manager Dorcas Reilly in 1955, its creamy, smooth sauce and unmatchable flavor combined with its simplicity makes Green Bean Casserole so appealing. Just six ingredients and 10 minutes to put together, this family pleasing side has been a favorite for over 60 years. This is the recipe for the Classic Fried Green Bean Casserole. This is one of the side dishes I most look forward to at Thanksgiving. Not being a traditional Thanksgiving dish not everyone makes it. Some people will serve cauliflower but make it roasted or in a variety of ways. Gratin style is the best way to serve cauliflower to me. It this recipe you whip up a creamy bechamel sauce as the base for her indulgent gratin before adding nutty Gruyère and Parmesan. For a golden crumb topping, combine breadcrumbs and the remaining Gruyère and drizzle with melted butter. Cauliflower Gratin.